Galbraith, reports strong property sales for the second quarter in the Scottish Borders, and predicts further growth in and around Galashiels due to the regeneration of the town and the creation of the new visitor centre for the Great Tapestry of Scotland. The firm’s report for the second quarter of 2018 (April to June) shows that sales increased by 8% for the quarter in the Scottish Borders, compared with the same quarter in 2017. In and around Kelso, sales increased by 30% quarter on quarter. Property viewings increased by 42% compared with the previous quarter and properties registered for sale with Galbraith were up by 6.6%. Property viewings also increased by 42% compared with the preceding quarter and the firm reported immediate interest in new properties coming to the market. In and around Galashiels viewings increased by 20% year on year and property sales were completed more rapidly. The level of sales achieved was up significantly on the previous quarter, although year on year sales were level. Market appraisals conducted by Galbraith in the Borders increased by 10.7% quarter on quarter and by 6.9% year on year. 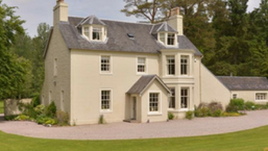 The average selling price for houses sold by the firm in the Scottish Borders was £236,000. Galashiels will certainly benefit from the new visitor centre for the Great Tapestry of Scotland. I understand there will be further exhibition spaces, permanent displays of other works of art in the centre and a new landscaped footpath leading from the train station. 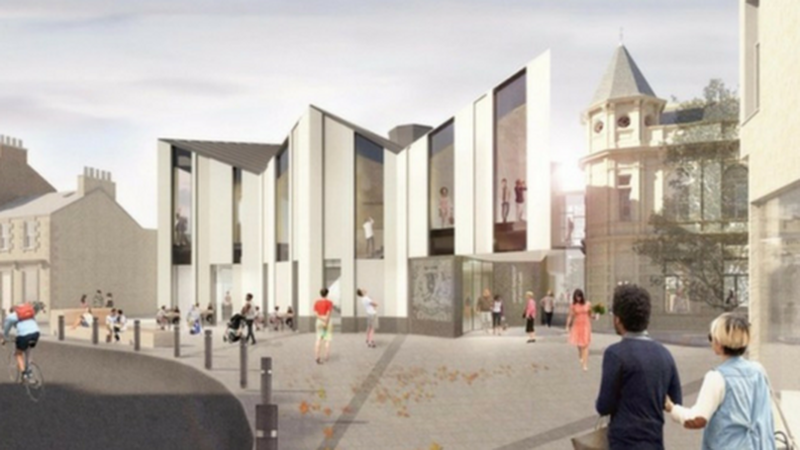 This a very welcome regeneration project, likely to increase visitors to Galashiels and interest in the town as a tourist destination, with an associated boost to the property market. Galashiels is a natural home for the tapestry. Textile manufacturers were, historically, the main employers in the town. Currently, the houses which sell the fastest are those in good locations which are also affordable. We see very strong demand for pretty country cottages throughout the region – especially those which have a paddock. Bungalows in central locations are also selling well. The Scottish Borders remains a very desirable place to live due to the beauty of the scenery, proximity to Edinburgh and the improved rail links from Tweedbank to Edinburgh. Melrose was voted the best place to live in Scotland by the Sunday Times earlier this year due to a variety of factors including good local schools and a wide range of shops. Melrose is one of several lovely historic towns – Jedburgh, Kelso and Duns are others -- which are wonderful places to live and property continues to sell well. Buyers are often looking for properties in walk-in condition and when we have something to sell in a good location and with kerb appeal, we usually receive a high level of interest and rapidly move towards a closing date. Sales are being concluded more quickly, which is good news for both buyers and sellers. The average sales price is increasing slightly although we don’t tend to see huge price fluctuations year on year in this region. Across Scotland as a whole, Galbraith reports a 22% increase in sales for the quarter ending 30 June 2018, compared to the preceding quarter. The firm handled over £54 million worth of property sales during the period. Galbraith also has a comprehensive lettings department, offering properties across Scotland. Lettings in the Borders have increased by 12% year on year. The number of property viewings in the region has also increased by 4.4% compared with the previous quarter. The average time taken to find a tenant for a property in the region was just five days. The rental market is still very active with strong demand for one to five-bedroom properties that are presented in good order throughout. There is a particular shortage of three and four-bedroom properties in Galashiels, Selkirk and Melrose. We are advising all our landlords to make improvements to their properties in between tenancies, which helps increase the pool of potential tenants and increases the monthly rental income potential. Increasingly, it is not just the town-centre properties which are letting well, the rural cottages too are in great demand. Average monthly lets are around £580 per month and upwards but tenants are prepared to pay a premium for a well-decorated home in good order throughout. Galbraith lets over one thousand homes across Scotland and the Scottish Borders is one of the busiest regions in the country for lettings. We specialise in the sale and letting of quality residential town and country properties.